The appeal, limited to presentations of just a few minutes per side, rests on a dispute of the assertion that the Controlled Substances Act violates the 5th Amendment, which guarantees the right of citizens to preserve life and health. Los Angeles cannabis lawyers know one of the strongest points plaintiffs have in their favor is the recent approval by the U.S. Food and Drug Administration’s approval last year of Epidiolex, a drug that contains CBD (cannabidiol). 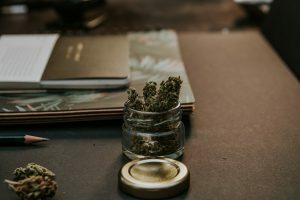 Although the lower federal court (U.S. District in New York ruled plaintiffs had yet to pursue all administrative avenues – including petitioning the DEA to reschedule the drug – plaintiff marijuana lawyers pointed out the DEA’s review process can take up to nine years. They are asking for an opportunity to proceed to trial to prove their case that the Schedule I designation for marijuana is not constitutional. The government argued plaintiffs should proceed with their petition through the administrative process. Federal judges asked the government why, if the medical value of marijuana is proven, should plaintiffs wait nine years to navigate the federal bureaucracy to reach a conclusion that’s already obvious. One of the judges even insinuated it was more likely than not the designation could be deemed unconstitutional, considering the medicinal benefits of marijuana had “been known for decades,” if not longer. Plaintiffs’ attorney argued that patients who already live in states where medical cannabis is legal by state law live in constant fear that their right to access viable medicine could be arbitrarily stripped at any point if the federal government suddenly decided to pursue enforcement of federal law (which has been done on-and-off in recent years). He further argued that an extensive delay would result in irreversible harm to the patients, particularly the children. Plaintiff attorney, addressing cannabis supporters outside the court during the hearing, said the questions posed by the judges appeared to be a good sign. However, if justices deny their appeal, plaintiffs say they could take their case to the U.S. Supreme Court. However, only 10 percent of cases that are submitted to the SCOTUS are accepted for review.